For those of us who live in big cities (i.e. most of the Inhabitots writers), nature can sometimes feel like a distant thing. Those of us grew up in rural/suburbia or who went camping frequently as children may have had plenty of experiences with ant colonies, but many kids living in cities today don't get this type of close encounter with nature anymore. If they do try to bring a messy pet or science project into their cramped city apartment, their parents aren't likely to be too thrilled. Happily, designers Hugh Hayden and Katie Vitale have attempted to solve this problem, by creating a wonderful series of ant farm artworks that merge a city parent's arty aesthetic with the nerdy science-fair goodness of an old-fashioned ant farm. 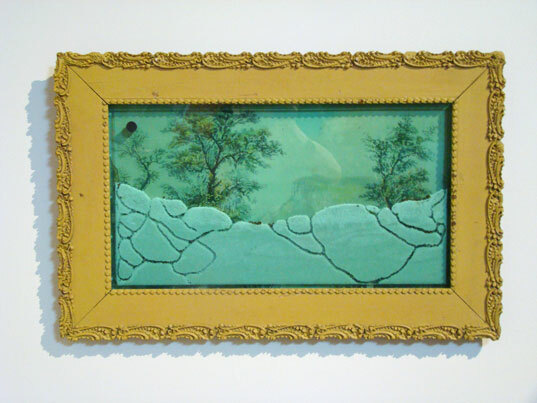 The brilliant FRAMEicarium project encases living ant farms in recycled, framed artworks. 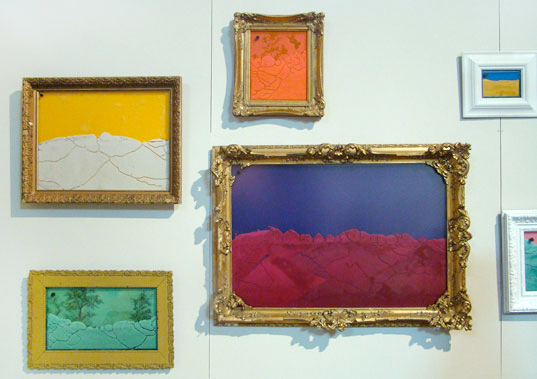 They come in all colors and sizes, and many of them even include the original landscape art that was found in the frame. Talk about life-inspired art! Most of Hugh Hayden’s FUNiture design projects stem from a desire to encapsulate childhood memories and redesign them to have modern, adult applications. His new FRAMEicarium collection, designed with collaborator Katie Vitale, includes living ant farms which translate into one-of-a-kind, shape-shifting masterpieces in which owners and ants are forced to interact in order to sustain the longevity of the artwork. 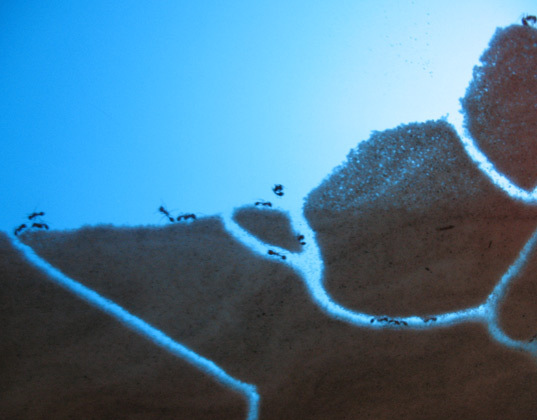 Possibly discouraged by the inexplicable popularity of Zhu Zhu pets and their accouterments, Hayden shelved the original idea in favor of the ant farms. 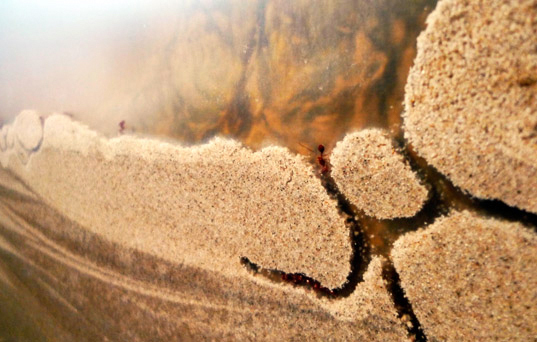 The ants, workers (transporting queen ants across state lines is prohibited for environmental reasons) are delivered to Hayden’s studio where, along with Ms. Vitale, he feeds and waters them as they excavate sand, creating the tunnels and mounds that make each FRAMEicarium unique. If you saw Hugh at BKLYN Designs or at this year’s ICFF designboom mart and he seemed a little fidgety, it was probably because he had ants in his pants! Where can I buy a FRAMEicarium? Hugh Hayden & Katie Vitale's Frameicariums turn ant farms into art, through clever resuse of vintage frames and living ant colonies.